We went over to the new Mudflat building to see Gail’s work. 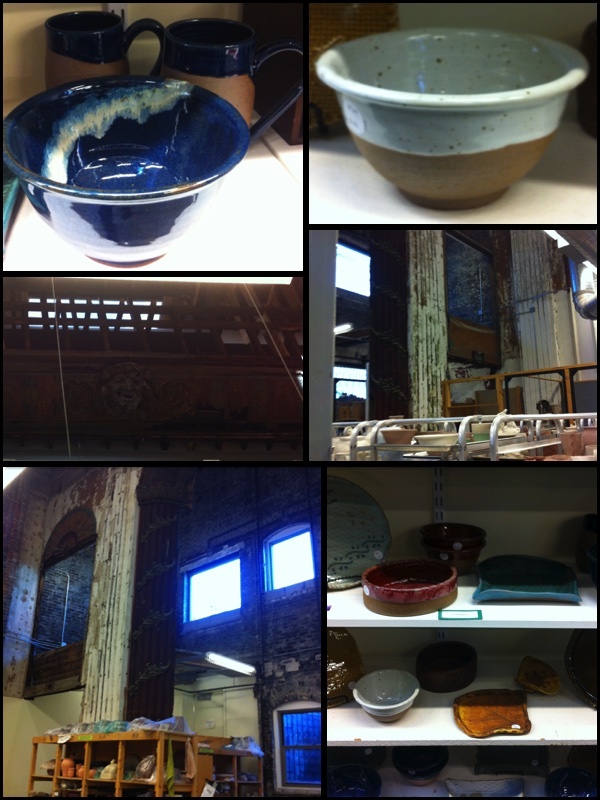 There was so much great work to see- we picked up several holiday gifts, plus I got one of Gail’s bowls (lucky me)! I didn’t know that the new Mudflat building was in an old movie theater- it is SO COOL. They kept the old brick walls and some of the decorative plaster.